I have been a loyal (seed) fan for years. I have fallen in love with everything from their Healthy Hand Cream to Body Oil to Therapeutic Hand Scrub. 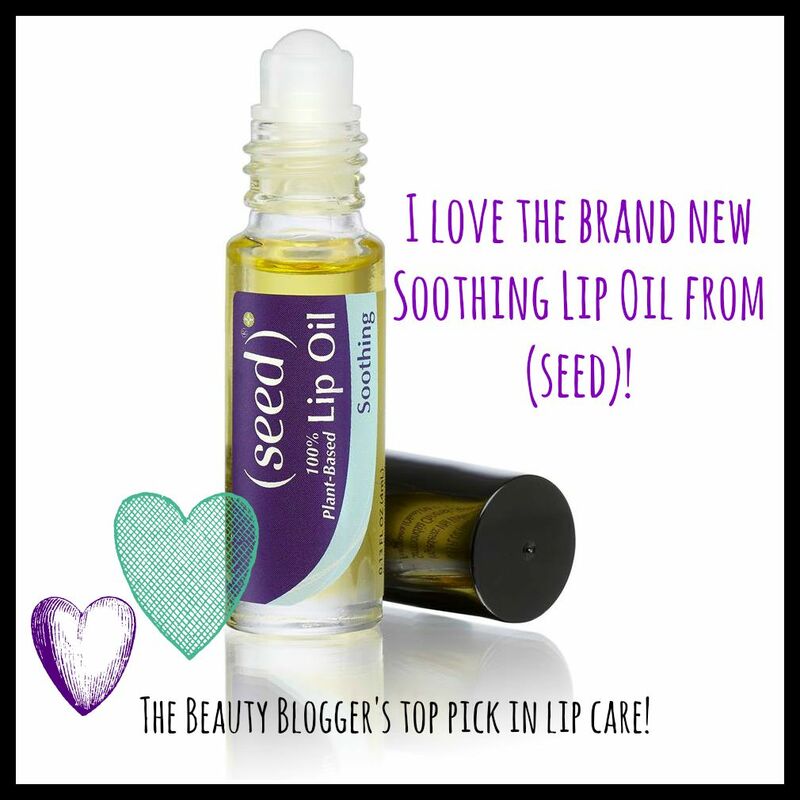 When their Lip Oils launched last summer, I was thrilled to ditch the waxy lip balms I had been using for the super light, yet nourishing Lip Oils. I have both the Therapeutic (Peppermint) and the Smoothing (Vanilla). There is a new lip oil in the collection and it just launched-- the Soothing Lip Oil. This oil is, like all (seed) products, plant-based. In fact, it is 100% plant-based, free of dairy, gluten, parabens, petrochemicals, phthalates soy, etc. It is also cruelty-free and vegan. The new oil is completely fragrance and flavor free. I had a chance to try this before it was launched and I love it! It contains moisturizing shea oil and provides lips with a truly silky, supple feel without greasiness. Oh, and did I mention the other ingredients? This isn't your typical ho-hum lip care product. At just $5 for a generous sized glass roller ball container, you might be surprised to know that this gem is packed with amazing skincare ingredients! I absolutely love this product, I apply it twice a day -- morning and night. I do not feel the need to reapply throughout the day, as it is chock full of pampering ingredients for the lips. Have you tried (seed) Lip Oil yet? The new one is divine! If I were you, though, I'd get their brand new Lip Oil Collection! You get all three lip oils for only $12.95. While you're over on the (seed) website, check out their blog, which I write each week. Feel free to check out the company's Instagram, Pinterest, and Facebook account as well.